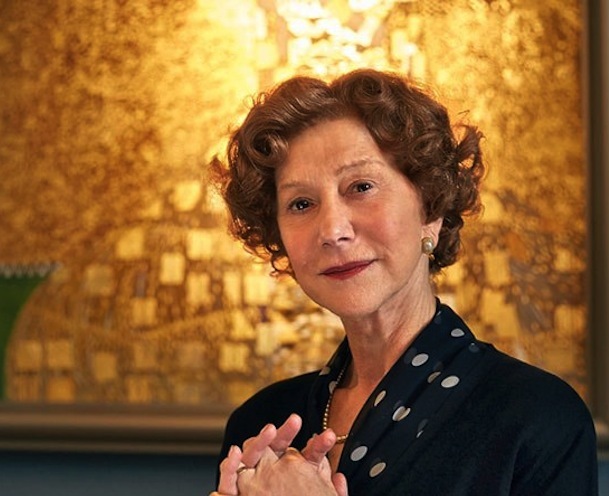 Who is the woman in gold? She is an emblem. She was a woman who loved. She bears a powerful curse and a blessing. Untouchable and coveted. Gustav Klimt, known as a symbolist painter, studied in Vienna and employed gold leaf in many of his famous paintings and two of my favorites: The Kiss and The Woman in Gold. 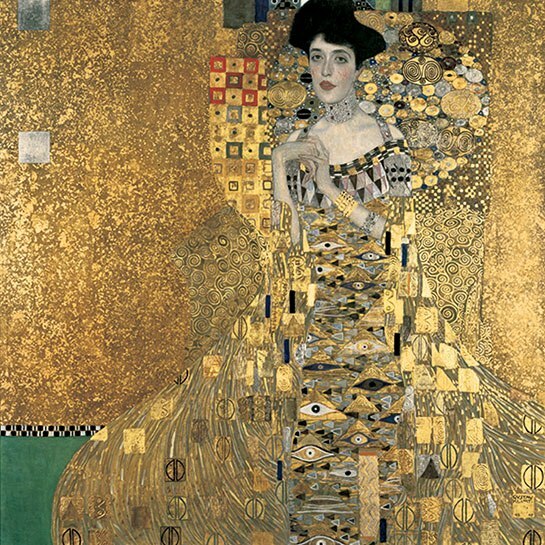 Gustav Klimt’s 1907 Portrait of Adele Bloch-Bauer I. Rights reserved: Neue Galerie New York. This film, however, is not about the painter Klimt at all. The story moves effortlessly into the dramatic story of the niece of the woman who posed for Klimt’s painting. Her wealthy Austrian family fell prey with the millions of Jews who were stripped of all possessions and forced to flee or fall during the Nazi overthrow in World War II. This true story allowed the voice of the spunky niece Maria, played perfectly by Helen Mirren, to reluctantly revisit her homeland. The haunts of her lush childhood interlaced with the memories leading up to her wedding and eventually her escape. Her one connection to the aunt who helped to raise her was the painting that once hung in her childhood home. This film, however, is not necessarily about Maria. Nor is it truly about the painting. Ryan Reynolds plays a young lawyer who took a risk on a start-up and lost. We meet him, downtrodden, looking for work. Maria hires him to help retrieve the beloved painting of her aunt. We, in the audience, need to know that he was willing to take a risk. Despite his growing family, despite impossible odds, he must do this. The film is so much about him. It’s about his personal journey, connecting with his own past, mourning lost loved ones, mourning the holocaust. He fights as so few would, without real financial backing, against an entire country that wants to leave the past behind, forgiven, forgotten. Randol, the lawyer, seeks to prove Maria’s ownership of the painting, and for most of the film, he seems to fight for the wrong reasons. Then he changes. All that Midas touched turned to gold until he lost the only one he loved. Every hero has a tragic flaw, usually hubris. But when they sacrifice themselves for the greater good, they rise up and become what they never could have: a hero.